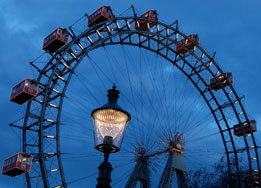 IAL having started the amusement industry in India has also been the longest. Its first venture Appu Ghar was a phenomenal success because of its incredible insight into the Indian local sentiments and its high international ambition. The company’s local understanding and success story motivated to bring forth more exciting projects to the Indian palate. Jaipur is part of the golden triangle of New Delhi-Agra-Jaipur. With over 18 million tourists visiting the desert state of Rajasthan in a year, the company proposes to leverage on the special status of the city and plans to develop the location as preferred destination for the tourists visiting the state. Appughar – Gurgaon, a wholly owned subsidiary of IAL, would comprise of a theme amusement park, water park, an iconic feature and retail experience. The project would provide an oasis in the heart of the corporate jungle and would be a first of its kind offering for amusement related activities in Gurgaon.